The material is a little thin. But it’s cute and colorful. 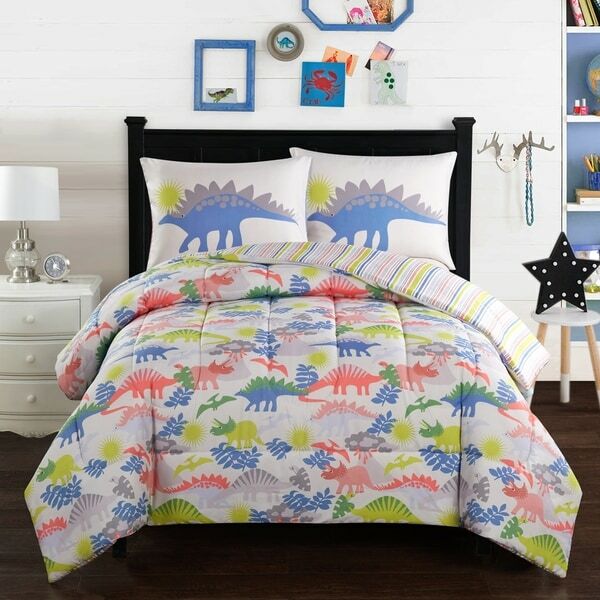 If your child is not discerning about thread count, this is a good buy. Inspired by dinosaurs, this dino land is perfect for your little one! This comes in sizes twin and full. Twin set includes one comforter (66" x 86") and one standard sham (20" x 26"); Full set includes one comforter (76" x 86") and two standard shams (20" x 26").